Accommodation consists of comfortable cabanas (cabins). Each of the four cabanas is furnished with a double bed plus mosquito net, sitting area, built-in cupboard, bathroom with toilet, hand-basin and shower, and has a veranda facing the ocean. If needed, we can provide a third bed in the cabana. The restaurant, which accommodates twenty guests, is open to the sides. 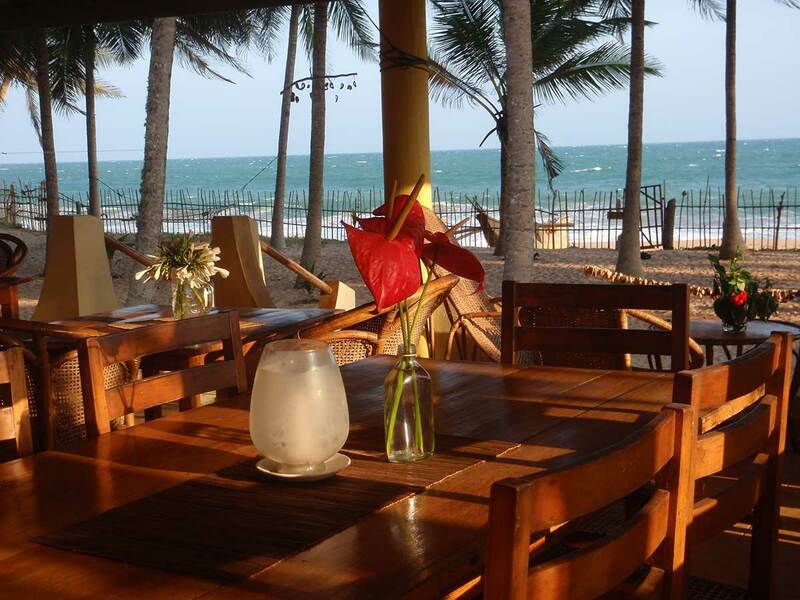 Here, while enjoying your breakfast, you can also sit and look at the ocean, listen to the waves and watch the fishermen pulling in their huge net onto the beach, with all their forces combined. During the day you can choose your food from a menu. There is a large variety of drinks, meals, snacks and other delicious goodies. 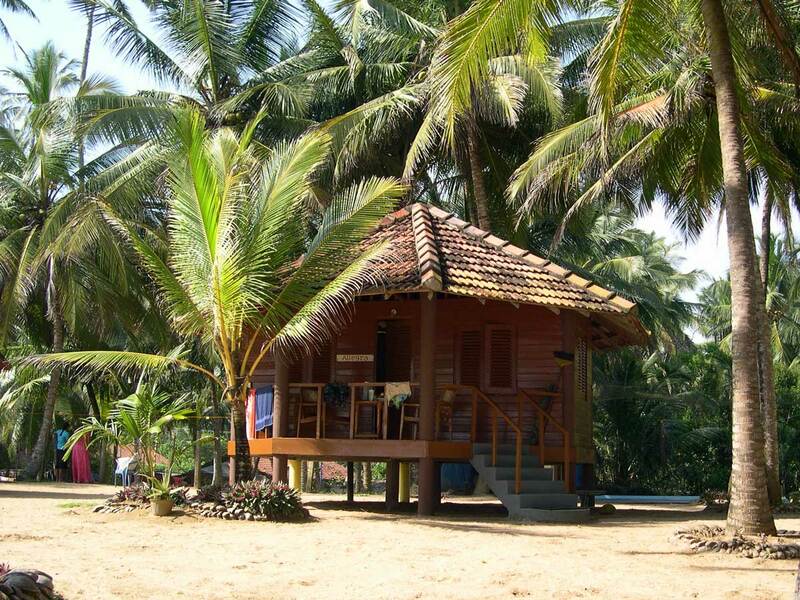 AquaBeach Cabanas is situated on the south coast of Sri Lanka facing the Indian Ocean, nestling at the edge of the fishing village of Gurupokuna, which is located approx. 15 miles east of Tangalle. AquaBeach Cabanas has a very special atmosphere. By its very location at the edge of a simple fishing village, away from the tourist bustle, it is a natural oasis of silence and regeneration – an ideal spot for ocean and nature lovers who are interested in regenerating body and spirit. The thinly grouped palm trees on fine, sandy ground create an atmosphere of lightness, openness and dignity that is matched by the loving individual care offered by the hosts. Tissa our cook has the great talent to create heavenly meals, which he creates with much love in harmony with the Sri Lankan and Ayurvedic tradition. He is an artist with the vegetable market and the kitchen as his art studio. You will remember Tissa's humour and laughter for many years to come. 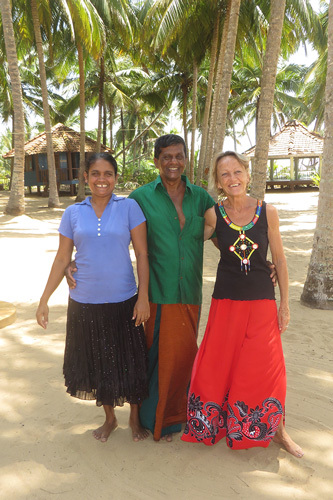 Since AquaBeach started in the year 2000, Tissa has been an important part of the loving atmosphere of our resort. Kumudu takes care of the daily cleaning and order in the guest rooms. She puts flowers on the verandas and turns the cabanas into a comfortable home. In our kitchen, she works with loving care, experience and great talent. Kumudu is our reliable and precious fee of the place. Eighteen years ago, I started this resort. With much support, thankfulness, meditation and love, but also with blood and sweat, AquaBeach has become what it is today. I am very happy that it has become a place where people feel well and come in touch with themselves so easily. 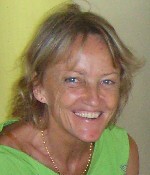 After finishing my studies in social pedagogy, travels to Nepal, India and Sri Lanka have given me a strong impulse. In a very impressive way I could experience the foreign cultures and the spaciousness of our beautiful world. Gradually this has also become my inner spaciousness. Besides Meditation, which I learned from Osho in my first long travels, AquaWellness has opened another dimension, which I love to pass on in water sessions in our seawater pool. 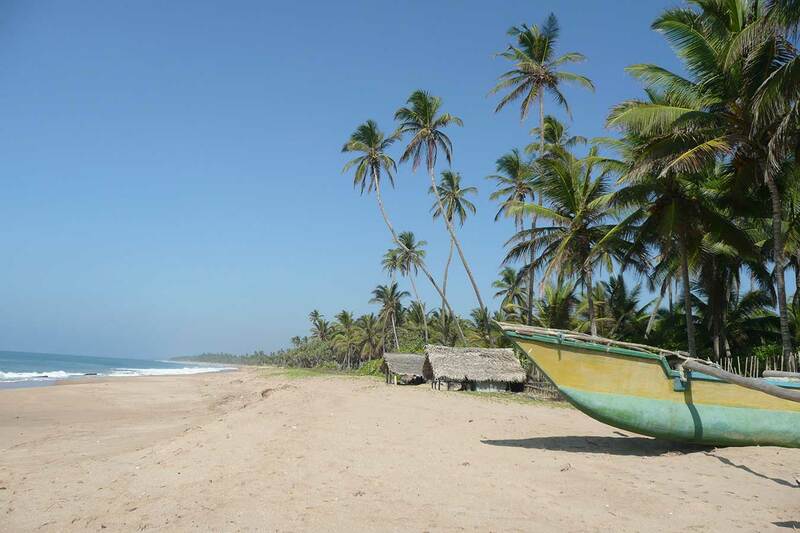 Since the year 2000, I live in Sri Lanka from October until April, and during the summer months, I enjoy living in my home country, Germany.